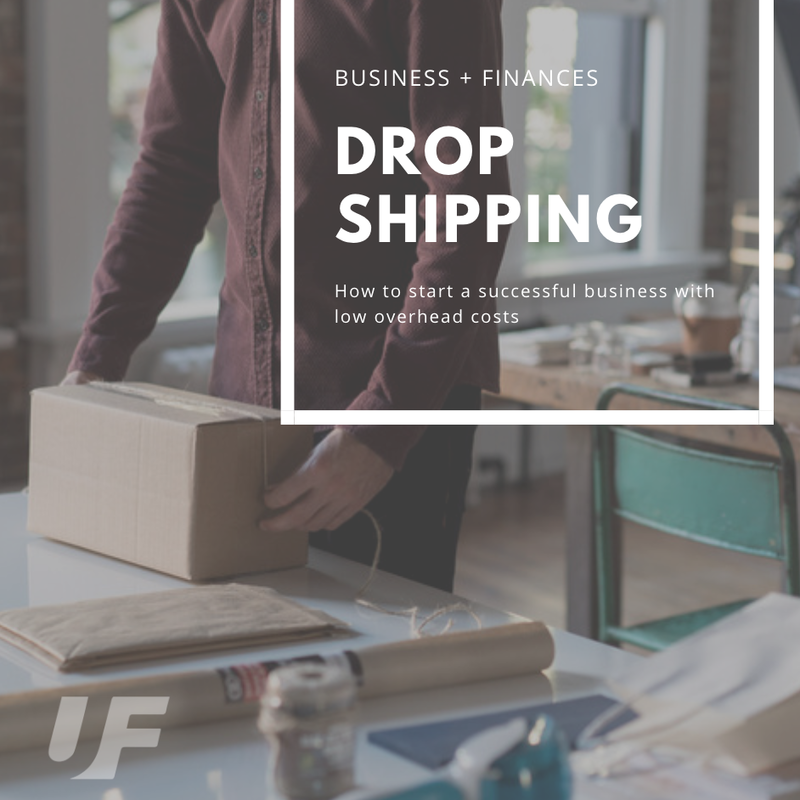 Drop shipping is essentially the process of selling goods from a third party platform, to your customers. The third party business will take care of the production and shipping for you, which reduces your overhead costs. What can you drop ship? Pretty much anything. These days, if you can dream it, you can create an online store around it. Instagram is littered with little shops with intriguing collections curated to fit their branding. For example, clothing and accessories are the most common types of businesses who sell items from a third party business to their customers. It’s a really fun process, dreaming up the different ways you can sell from a third party business. If you have a tendency to be hands-on and creative, then there are hundreds of platforms that will allow you to create designs and then have them implemented onto t-shirts, hoodies, coffee mugs, tote bags and so on. The third party business will take care of the printing, shipping and even the customer service for you! This will remove a lot of the stress from your plate, and allow you to focus on imaging designs to fit your brand. Start with the type of concept you want for your brand, what your voice will be as a business. Do you want to make a statement? Will it be political? Centered around music? Do you want to appeal to kids or adults? Once you choose the direction or theme for your business, you can begin to pour your creative talents into innovative designs. If you would rather curate a collection, choose a platform like Alibaba and again, choose a theme. Their options are endless! Would you like to sell home goods? Cookware? Sports equipment? You name it, they probably have a large variety for you to pick and choose for your website or social media store. Starting with the basics, you will want to prepare for your average small business costs, such as equipment. Will you be needing a computer to design your work? Will you need programs such as Adobe to create your designs? You will also need a platform for your customers to purchase from, so creating a dynamic and functional website is a must. Many third party sites will also allow you to create a store within their platform, so if you are not able to create your own branded website, that will suffice. Finally, your biggest cost will be marketing. You are essentially taking the products from another company and marketing them in alignment with your brand. Using Paid Ads, such as Google AdWords and Facebook or Instagram Ads will increase your audience exposure. You will also need to research and develop target audiences to market the products to. If this is something that you do not have much experience or you just don’t feel like learning it, you may need to look into hiring a social media or ad specialist to help set up your ads. What if I don’t have enough money to get started? The amazing thing about these types of small businesses, is that if you are motivated enough, you can start the business will little-to-no cost. On the other hand, if you need assistance and must turn to outsourcing for some of the set up, or if you want to go full throttle into the paid ads, then you can look at acquiring Small Business Loans or Start-Up Loans. The possibilities are endless, so determine what will be the best fit for you!